Rema has named her house ‘Aadima’, meaning ‘the beginning’. We are almost there. Rema’s little house is receiving final touches. It will be given to her as a New Year Gift.Seeing Rema’s pathetic state with her sick father in a make shift shack, we decided to build her a house. We started off in May-June, with funds donated by old students of Sainik School and some other kind-hearted people. As in any such project, we too had issues to face. There was the long monsoon and stagnant water to be cleared on the low-lying plot. Movement of material to the remote site, non-availability of river sand, shortage of labour and all other usual issues were there. Then there were unusual ones. Rema had relapse of a psychiatric condition and her TB inflicted father took seriously ill. With help of friends and some luck, we have been able to overcome all of them. “What are you guys up to; building house for a strange woman when you have not been able to build one for your own?” There were even taunts at home that we overcame. Now the house is almost ready. Rema’s apprehensive, helpless look has changed dramatically. She can’t hide her joy and laughs heartily. Even her father’s sick face has a smile on it. Rema has named her house ‘Aadima’, meaning ‘the beginning’. A small house warming will be held on 3rd January, at a gathering of Sainik School old students, friends and Rema’s well-wishers. We have been planning the function with local people for a few days now. They propose to give it some media coverage. And that has brought up yet another issue. Who will hand over the key of her new house to Rema? Who would be that key man, to steal the limelight with Rema? Plenty of options have been put forward; local politicians, celebrities, government officials, prominent citizens, senior old students. Plenty to ponder over! We have thought over it and found our Key Man. At 13, young Hari is a fresher at Sainik School, Kazhakootam. I found him through a call from his mother. She was seeking guidance for her son to adjust with boarding life and the tough regimen at Sainik School. He is on Christmas vacation and met me the other day. The boy looked a little down. He is the only son and misses his mother at school. He has difficulty, shifting from Malayalam to English medium of education. PT, drill and all the physical stuff is demanding, but he can cope. “The games fields and my friends”, the reply was prompt. Hari is like all of us in our initial days at school. He will tide over these tentative days, thanks to the games fields and his friends. The curriculum and values he inherits at Sainik School will make him a good human being. All that we, as old boys need to do is to pep him up a little. I talked to my friends and we have chosen young Hari Ashwin to hand over the key to Rema. 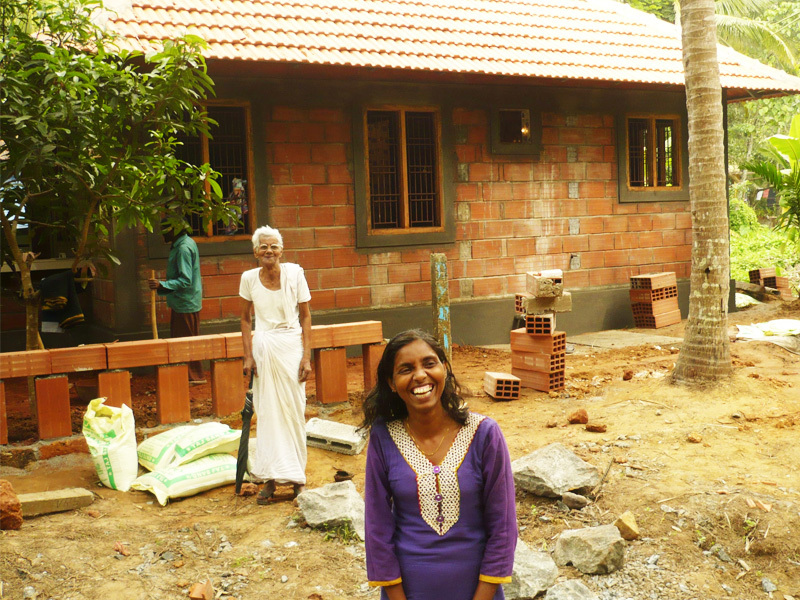 Hari’s mother is happy that her son will be the key man at the house warming. She called up last night and told me that Hari wants to buy a gift for Rema with his pocket money. Haven’t we made the right choice? 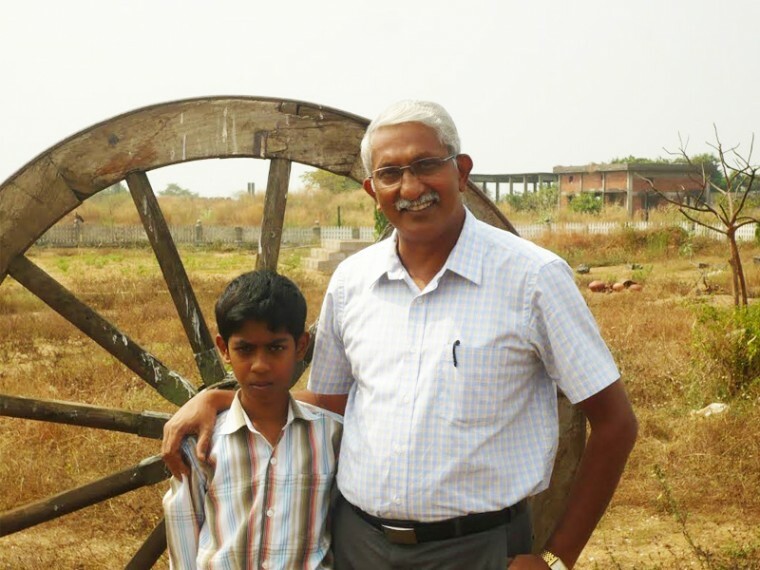 Capt Ramesh Babu is a proud alumni of Sainik School, Kazhakootam, having been a part of the school from 1971 to 1978. He went onto become an Engineer in the Indian Navy. Now retired from the Navy, Ramesh Babu lives in Mumbai with his wife and two sons. The act of constructing a house for the mentally challenged and deprived family was a noble act and is signal to others to come forward to pay back to the society . Congrats to you and the team. Keep up the good work and may God Bless u all….